If you're in search of a casual yet absolutely chic outfit, rock a navy and green plaid dress shirt with a dark green pleated mini skirt. Both pieces are totally comfy and will look fabulous together. 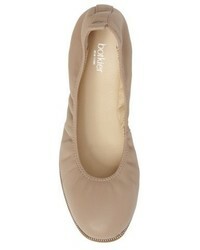 A pair of Botkier mason ballet flat will be a stylish addition to your ensemble. For a nothing less than drool-worthy outfit, go for a grey lace fit and flare dress. Bring playfulness to your look with Botkier mason ballet flat. 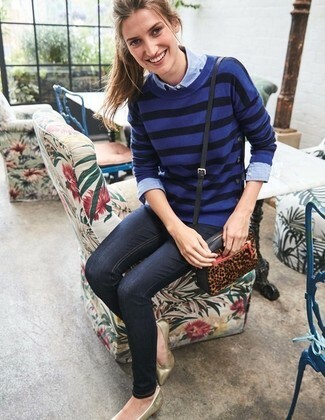 If you're on the hunt for a casual yet chic look, make a blue horizontal striped crew-neck sweater and navy skinny jeans your outfit choice. Both pieces are totally comfy and will look fabulous paired together. When it comes to shoes, this look is finished off perfectly with Botkier mason ballet flat. If you're all about relaxed dressing when it comes to your personal style, you'll love this stylish combo of a white and navy horizontal striped crew-neck t-shirt and olive camouflage skinny jeans. Finish off your ensemble with gold leather ballerina shoes. For a killer-meets-chic ensemble, try pairing a red turtleneck with a red midi skirt — these two pieces go perfectly well together. 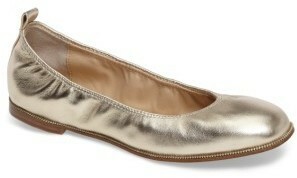 Make your getup more fun by rounding off with Botkier mason ballet flat from Nordstrom. Reach for a blue off shoulder dress if you're hunting for an outfit idea for when you want to look casually cool. 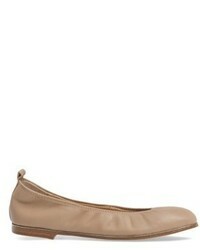 For the maximum chicness go for a pair of Botkier mason ballet flat from Nordstrom. For those of you who like the comfort look, consider wearing a blue lace skater dress. 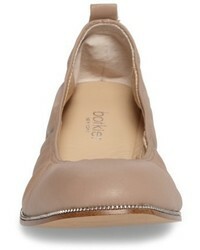 Botkier mason ballet flat from Nordstrom will deliver more playfulness to your getup. If you're on the hunt for a casual yet totally chic look, dress in a grey horizontal striped coat and black leather skinny pants. Both items are totally comfy and will look fabulous together. For something more on the daring side to complement this look, opt for a pair of gold leather ballerina shoes.